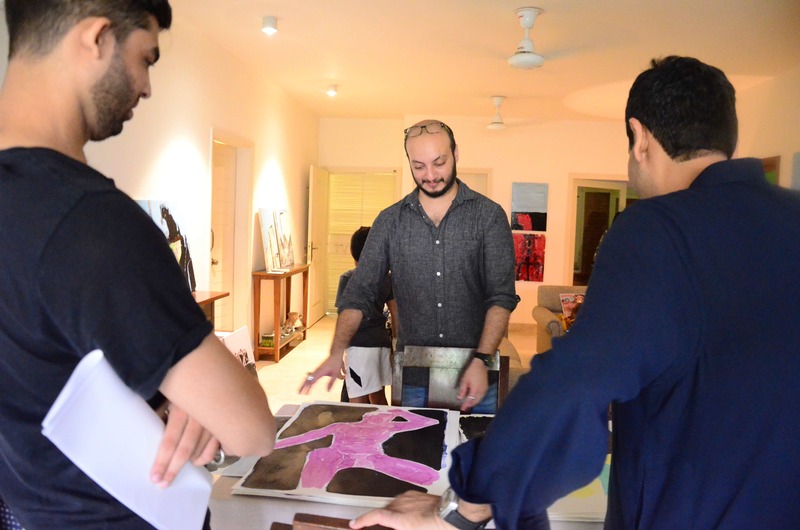 Lahore based painter, Abdullah Qureshi was hosted by Vasl for a month long artist residency program in which he explored Karachi as an urban metropolis through the lens of an individual who was not only new to the city but new to its’ residents. 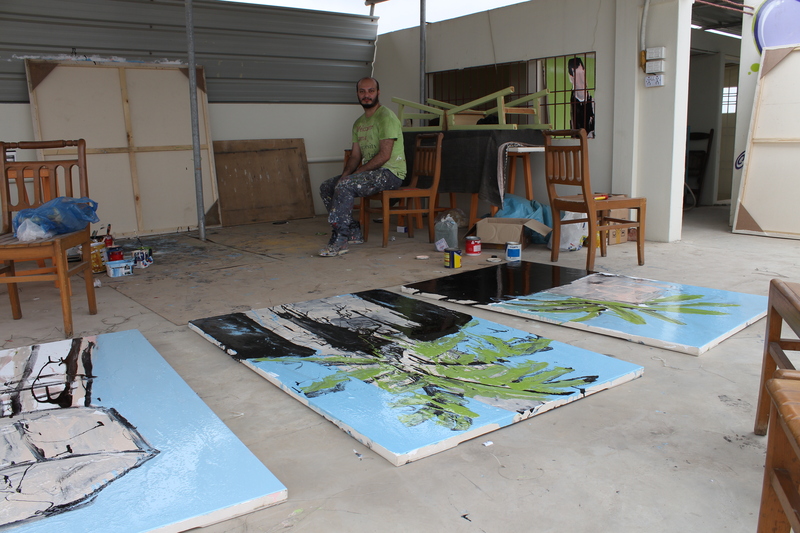 Having created paintings and written research on sexuality, gender and the role it has played in art, Abdullah used the rooftop of the Vasl residence as an inspiring setting to create his new body of work for this residency. Set amongst thousands of apartment buildings and palm trees, a landscape quintessentially Karachi, Abdullah spent his time exploring the neighbourhood with his friend and colleague Aziz Sohail. 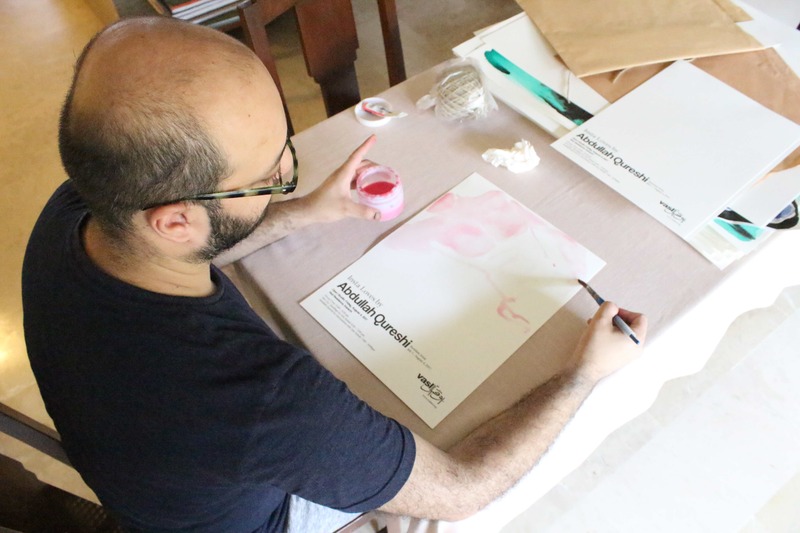 On August 4th, 2017 Vasl Artists Association hosted an open day at the Vasl residence, displaying resident artist Abdullah Qureshi’s work around the apartment in an intimate setting; water colours and oil enamel paintings were kept inside closets and on the drawing table while projections could be viewed in the bedroom and office. This informal setting reflected Abdullah’s personal take on the work created at Vasl and his development and understanding of his own sexuality through the interaction with individuals in his life. 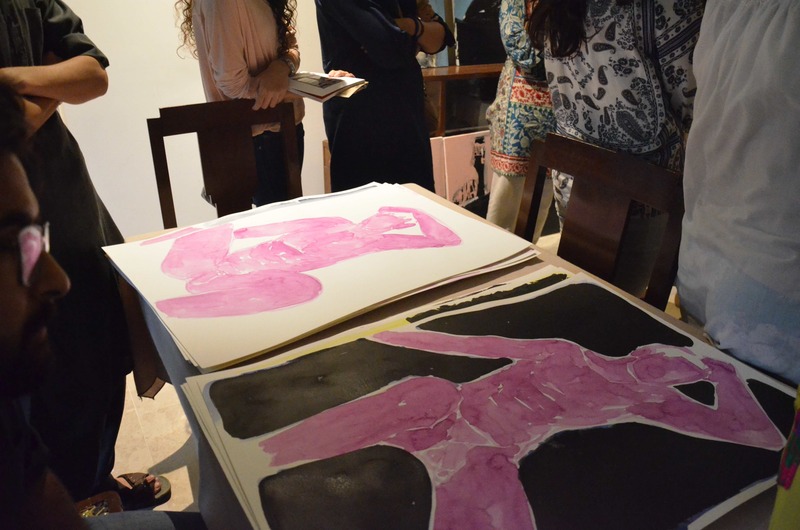 The viewing of the work was followed by a reading titled ‘Hot City’ written by curator and writer Aziz Sohail. 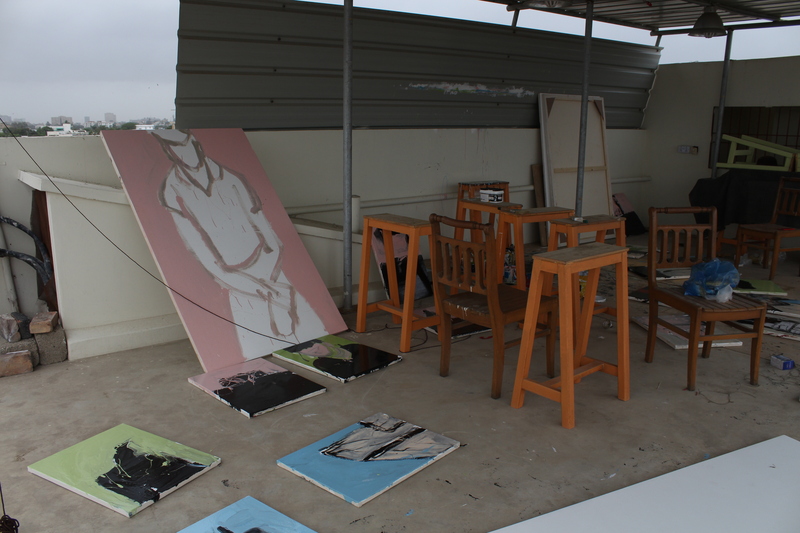 The third element of the program was a conversation between Abdullah and Aziz on the Vasl rooftop where the two conversed about their previous collaborations and perspectives on art.